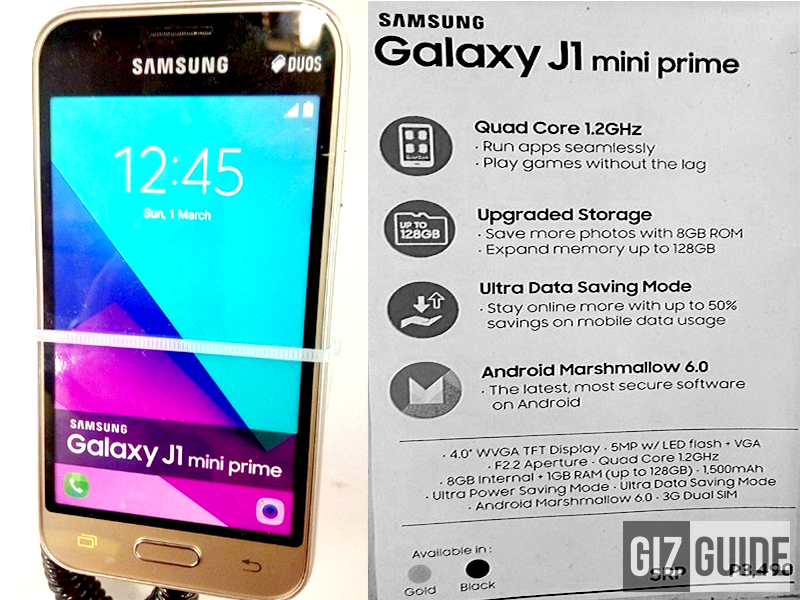 Samsung Silently Launches Galaxy J1 Mini Prime In The Philipines Priced at PHP 3,490! 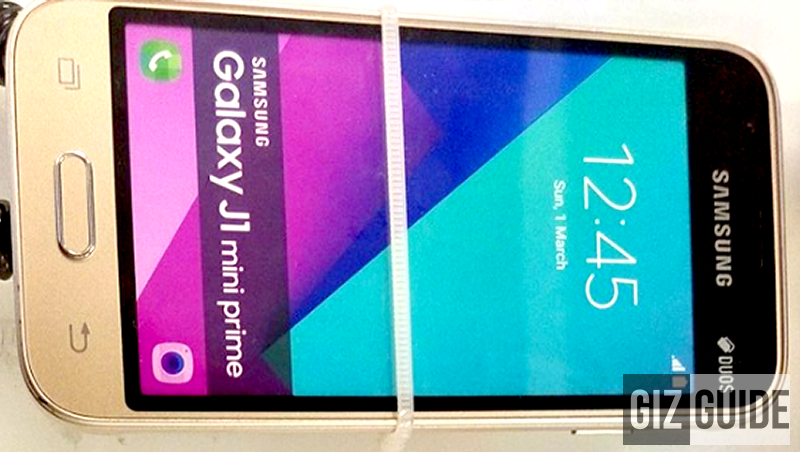 Home / mobile / news / samsung / Samsung Silently Launches Galaxy J1 Mini Prime In The Philipines Priced at PHP 3,490! Our friends at Techpinas.com has stumbled upon a new Marshmallow Samsung Android phone along side the Samsung Galaxy J7 Prime! Yesterday, Charlse Quiachon spotted a curious Galaxy Handset on-display at the Samsung Concept store at SM North EDSA's the Annex that has yet to be seen online! The new Samsung Galaxy J1 Mini Prime is physically identical to the regular J1 Mini model released earlier this year but this handset refresh has some noticeable upgrades. It doesn't look all that different from the original! It is Marshmallow powered with 1 GB of RAM for better multitasking as opposed to the regular's 768 MB RAM that was running on Lollipop. Consumers can now experience better performance without paying extra which we think is a win! But wait! There is more! It is PHP 500 more affordable as the J1 Mini came out at a price of PHP 3,990 but the J1 Mini Prime is PHP 3,490! Aside from the said features, the rest of the technical specifications remain the same. The Galaxy J1 Mini Prime is equipped with a 4 Inch WVGA TN display, 5 MP main camera, VGA selfie cam, HD video recording, Dual SIM capability, 3G HSPA+ and a removable 1,500 mAh battery pack. It is available in two colors - gold and black, the Samsung Galaxy J1 Mini Prime dons an official suggested retail price of PHP 3,490 and is now up for purchase at all Samsung Concept Stores and authorized retail channels nationwide. We believe this is a good phone for DUAL SIM Sammy loyalists who want a backup phone dedicated to just calls and text! So what are you waiting for? Visit your nearest Samsung retailer now!